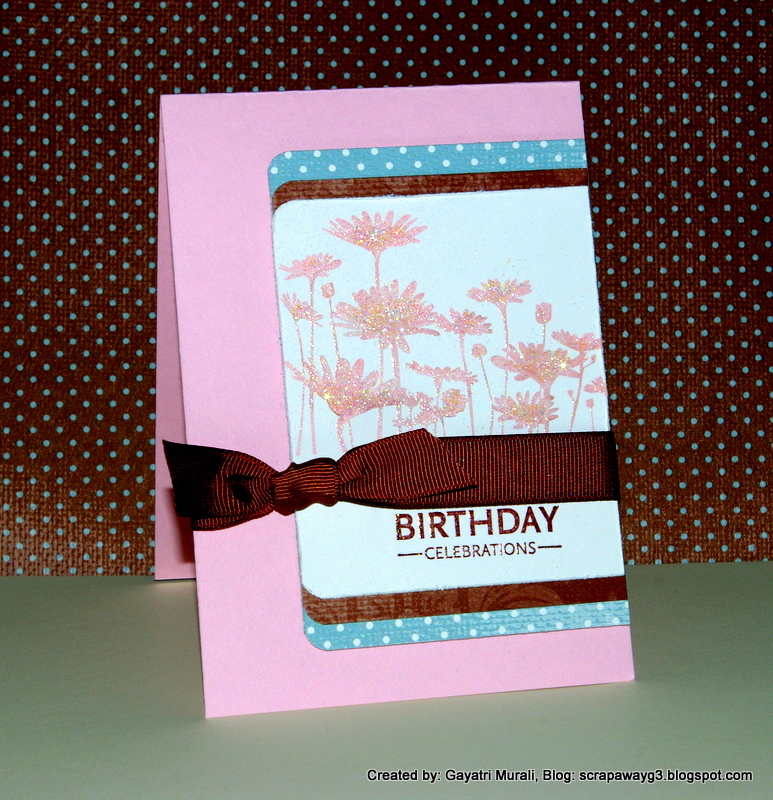 Accessories: 5/8″ grossgrain chocolate chip ribbon, versamark, dazzling diamonds,clear embossing powder, two way glue pen. heatgun and corner punch. Accessories: Pink Pirouette ribbon, Designer flower brads, Black brad, scalloped border punch, note punch, scalloped oval punch, oval punch and corner punch.